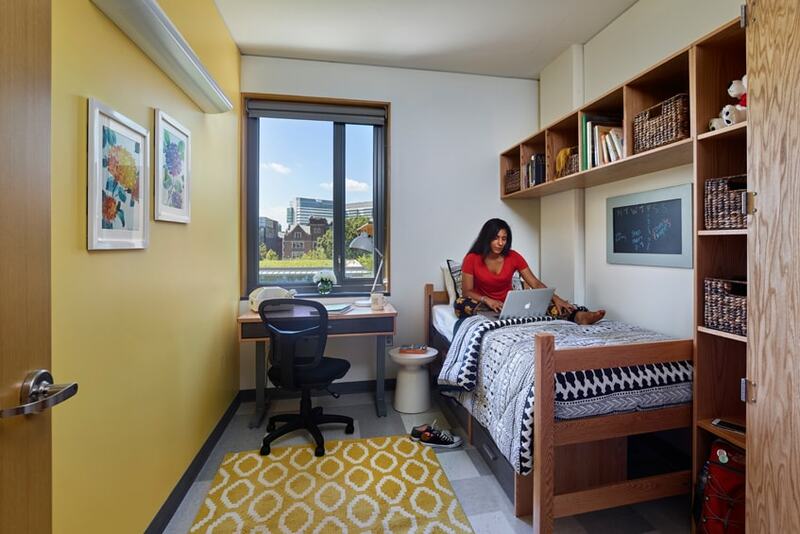 Eager to attract millennial college students who have high expectations for on-campus housing, the University of Pennsylvania (UPenn) pored over every detail of its New College House, the first undergraduate residence hall to be built on campus in 60 years. 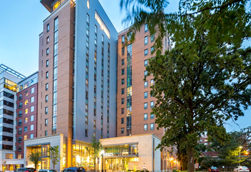 And when it came time to put those ideas to paper, the university hired an expert in the form of AHA Consulting Engineers (AHA) – a talented firm of professionals with proven engineering design experience in both the higher education and multi-family housing markets. 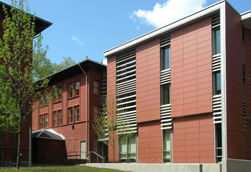 The firm, which has delivered over 300 distinct projects across the Ivy League campus, was engaged to provide mechanical, electrical, plumbing and fire protecting engineering design services for the 190,000-sf residence hall that would be a prominent component of the university’s inclusive residential system. 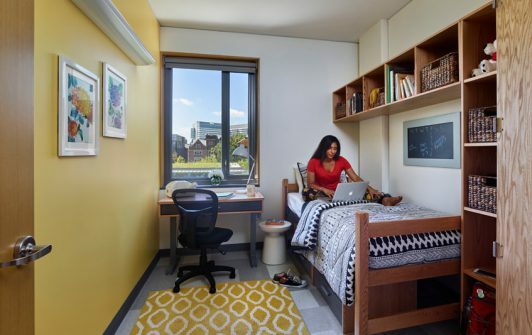 New College House incorporates the types of amenities that attract students to UPenn in the competitive higher-education market in the first place, including a mix of everything from as small as a two-bedroom to as large as a six-bedroom suite configurations that provide privacy within the greater context of community – each with its own kitchenette and bath – residential and graduate advisor apartments, faculty apartments, a full-service dining hall and a secure, single point of entry. 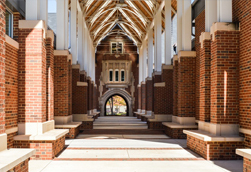 New College House also provides common spaces to facilitate social and academic collaboration in the form of study lounges, private studies, music rooms and a shared living room with a fire place. Providing a comprehensive systems design for the facility was expected to be fairly straightforward. But when groundwater concerns eliminated the structure’s basement – three years into the design process – AHA had to scratch its plan entirely. 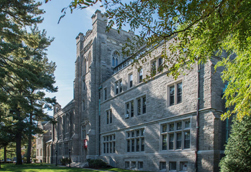 Running the appropriate ductwork and utilities through the extensive J-shaped building just would not be possible. AHA devised a solution by designing a utility tunnel along which the mechanical, electrical, plumbing, fire protection and communications systems could service the unusual geometry of the facility. 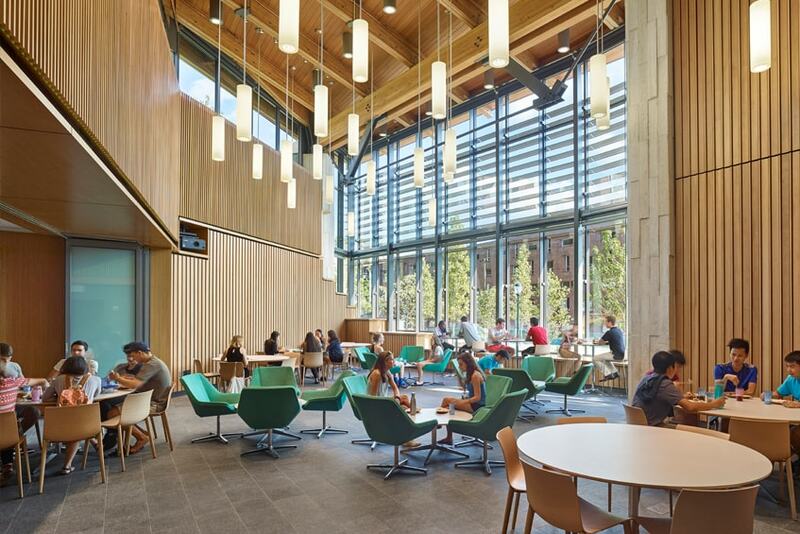 Additionally, despite the limited floor-to-ceiling height and post-tensioned concrete structural system, AHA’s team was able to design around the stringent limitations for utilities, ductwork, shafts and pipe openings. 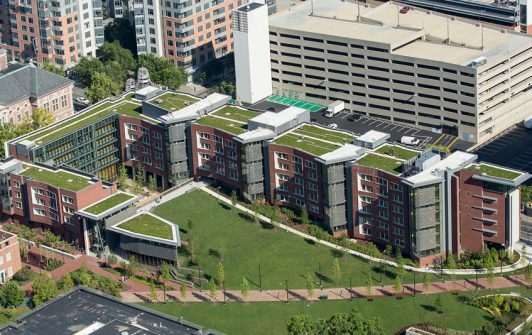 As part of the LEED Certification process and the City’s stormwater codes, AHA worked closely with the landscape architect to filter stormwater collected by the building’s green roof, which replaced the need for a large underground retention structure. The firm also implemented efficient energy systems for HVAC, lighting and plumbing systems to distinguish the building from older buildings on campus. 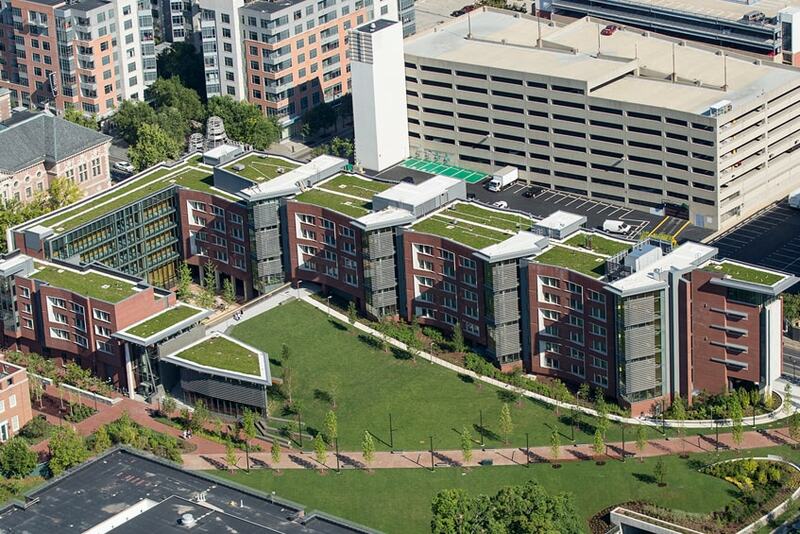 AHA, which was responsible for energy modeling and LEED administration for New College House, is optimistic that the new facility will achieve a minimum of LEED Silver Certification.